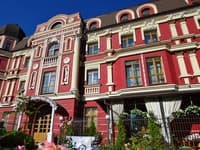 The elegant hotel "Staro" is located in the old district of the city - on Podol, near architectural and historical sights. 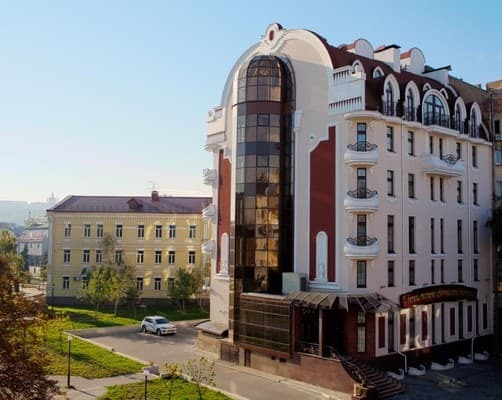 The building of the hotel is built in the style of Ukrainian modern, typical for Kiev in the late 19th century. 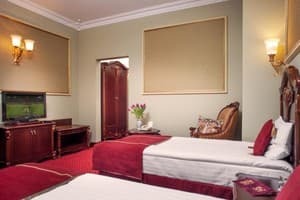 All rooms are equipped with a flat-screen TV, air conditioning, a minibar, and an individual safe. Some rooms offer a beautiful view of the pearl of Ukrainian architecture - St. Andrew's Church. Free Wi-Fi, 24-hour room service, concierge service. Guests can use the services of a massage therapist, hairdresser, dry cleaning and laundry, book excursions. 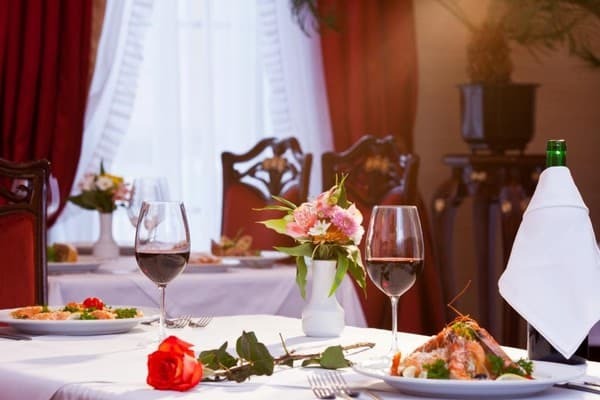 Fine dining of both Ukrainian and European cuisine is offered by the restaurant of the Staro Hotel. 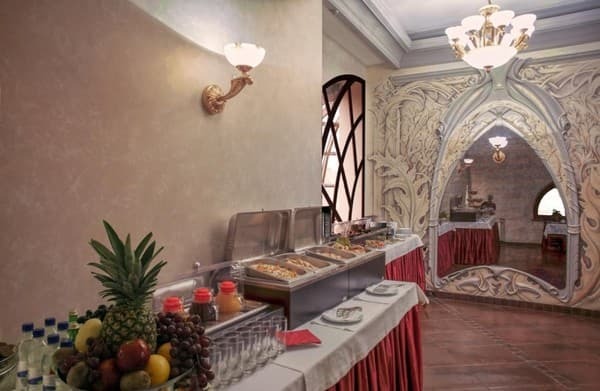 Drinks, snacks and special desserts can be ordered at the Alfons Mukha bar on the 7th floor. Without additional payment, customers can also use the car park. Prices may vary depending on the euro exchange rate. Check with the operator when booking. 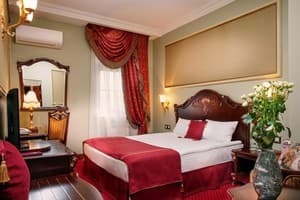 Description of the room: Standard room with a large double bed. Breakfast is included in the room rate. Children under 7 years free of charge without extra bed. Extra bed in room - 20 euros / day. There are rooms with a balcony. 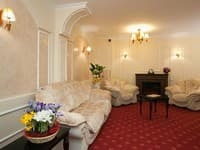 Description of the room: In every room: LCD TV, safe, desk, telephone, mini-bar. In the bathroom: hairdryer, slippers, bathrobes, towels, a set of mini-perfumery, cosmetic mirror. 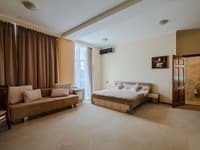 Room size - 25 square meters. 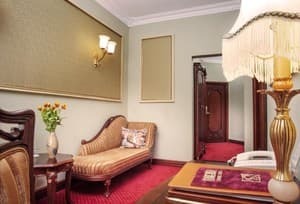 Description of the room: Deluxe room with views of the park. Is breakfast included. Children under 7 years free of charge without extra bed. Extra bed in room - 20 euros / day. Все на уровне. Отлично провел время. уютный отель, персонал очень доброжелательный, порадовал шведский стол на завтрак-хорошая кухня. Отличное отношение личного персонала. Чисто, уютно. Children under 7 years free of charge without extra bed. Additional bed in the room - 20 euros / day. The room rate includes breakfast, there is a restaurant on site. 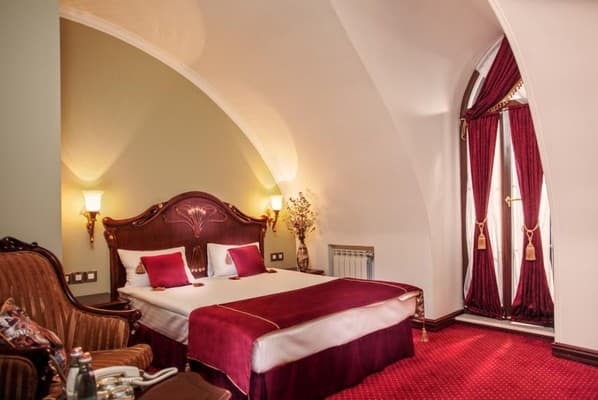 The hotel is a block from the main synagogue and close to a lot of churches and museums. 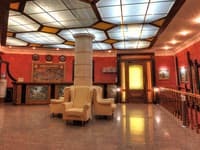 Underground station "Kontraktova area" or "Shevchenko" is a 5-minute walk from the hotel. Distance from the railway station - 4.5 km from the airport Borispol - 39 km. Guests can enjoy Thai massage services by appointment. The most convenient way to get to the hotel is by metro. The hotel can arrange a shuttle service at an additional cost.